George and Face2Face host David Peck talk about love, gratitude, celebrity and rebellion and influence, “earned fear”, how you can be angry for good reasons, U2 and why poverty is so not necessary. 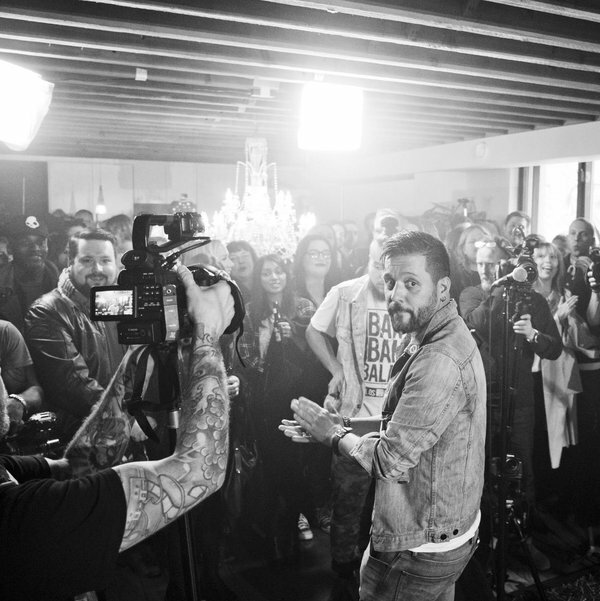 More about The Strombo Show here. A six-time Gemini Award and Canadian Screen Award winner for best host in a talk series, George Stroumboulopoulos has interviewed a who’s who of entertainment icons, world leaders and respected thinkers. George has also taken an active role in global initiatives and is a strong advocate for social issues. George is the first Canadian National Ambassador Against Hunger for the United Nations World Food Programme. And he’s one of three Canadians recognized by the World Economic Forum as a Young Global Leader for 2012. He was also a driving force behind Canada for Haiti, a live benefit that raised more than 27 million dollars for Haitian earthquake victims, and One Million Acts of Green, which saw Canadians register 1.6 million acts of green on the official website. George has also hosted the highly regarded CBC documentary series Love, Hate & Propaganda – which examined how propaganda helped shape significant events of the 20th century, including the Second World War, the Cold War and the War On Terror. George is the host and co-executive producer of George Stroumboulopoulos Tonight. You can find him on Twitter at @strombo as well as on Facebook.